Dweep means an island. It has been featured in several contexts both historical and mythological. Our rescue equipment is manufactured using a special hi-tech double-walled material; this allows the structure, which is inflatable with air or pressure, to be lighter than carbon structures of the same volume. 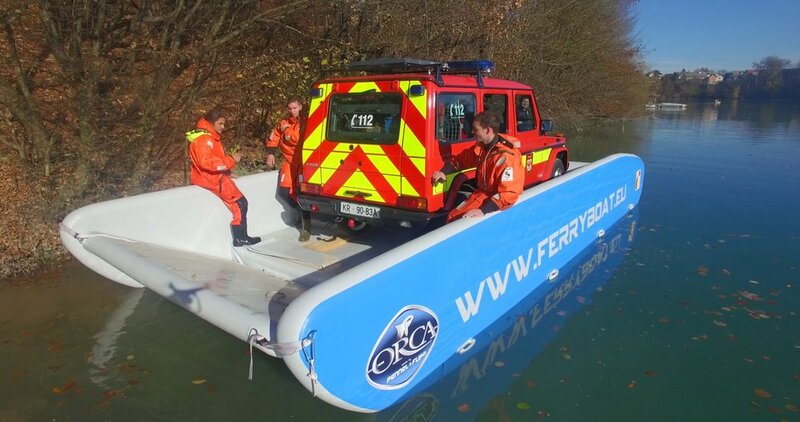 Rescue platforms, rafts and stretchers can be inflated quickly using an electric pump or cylinder, and have a load capacity of between 100 and 300 kg/m2. In the case of a multi-layered construction, the load capacity can be even greater. ADOR DWEEP™ works closely with its partner Maritime Inflatables in developing innovative products and working closely with our customers and partners. We offer a wide range of inflatables marine products including platforms, flat fenders, round fenders and boat tubes. We also specialize in customizing our products to our clients specific requirements. Please contact us for more information.